Technology Showcase: Want to Unleash Your Data For Faster Business Decisions? Is your decision support infrastructure failing to deliver real business benefits? Are you unable to get a global view of your data? Would you like to turn data into an asset that drives efficiency and profitability? Could Data Warehouse and Big Data Automation be the key to solving these problems? 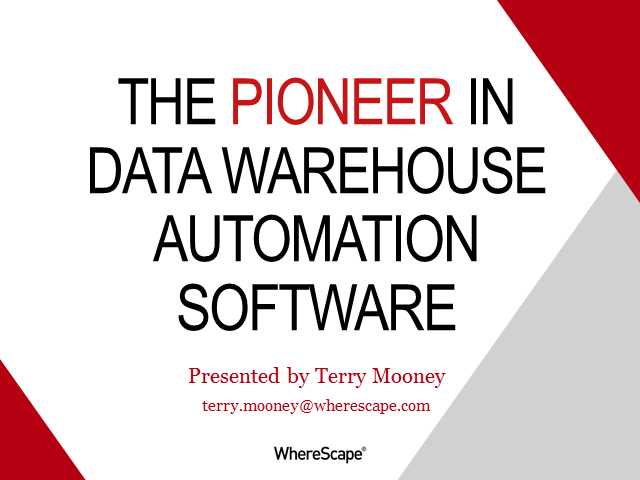 •How WhereScape Data Warehouse and Big Data Automation software can build a data warehouse up to 10 times faster than traditional methods – see the software in action! Title: Technology Showcase: Want to Unleash Your Data For Faster Business Decisions?